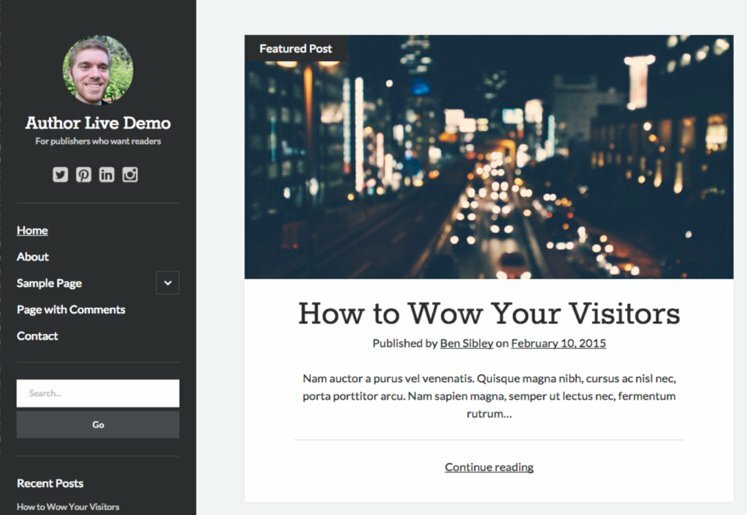 Lovecraft is a beautiful two-column WordPress theme for bloggers. I’ll using it for next project. The name of the theme is Fara. (translated into Swedish – Danger). 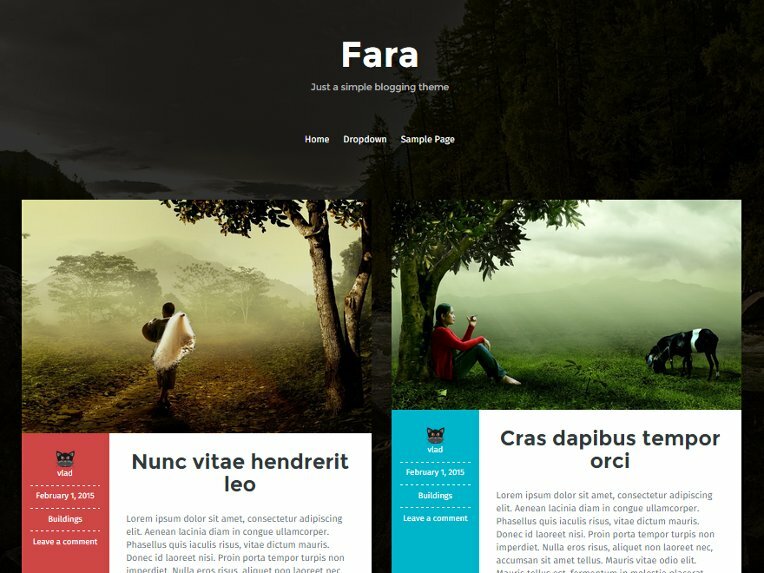 Fara is a simple masonry theme that displays your posts in an elegant, content focused manner. It includes color options, logo and favicon options and Fara also lets you use any font from Google Fonts. It looked beautiful with a creative and inspiring look and feel. Fara a theme that not comes packed with features, you’re not going to use anyway. The key features you can edit and use are available in the theme customizer. There, you will find all important and necessary options to create a creative and awesome website. Courage is a great way to start your personal blog or magazine website today. The theme is very easy to use and looks awesome on every device. 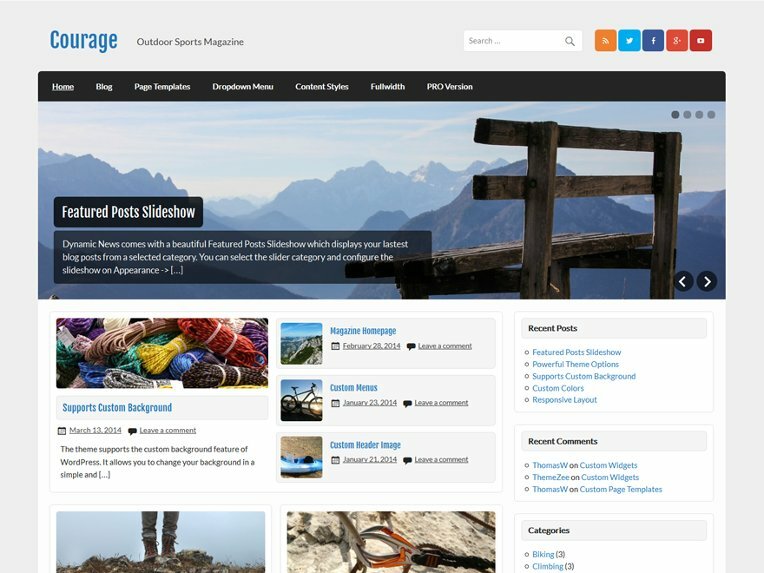 It includes a beautiful featured post slideshow and a clean and flexible Magazine Homepage template. It features an attractive featured post slideshow and flexible homepage. Powerful theme options, theme customizer, custom backgrounds, 3 category posts widgets, sidebar left/right layout, translation ready. This WordPress multi-purpose design is suitable for art & photography, fashion, beauty, and other creative portfolios. Stylish dark layout pushes the gallery in the focus of attention, and light coral color accentuates the key points of the layout, thus embellishing the overall look. The viewers will enjoy browsing the site based on this user-friendly theme with fantastic sliders, filterable portfolio and intuitive navigation. 2-step theme installation and built-in customizer will offer you fast and easy deployment of this template. Author is designed for publishers who want readers. That’s why Author is fast, responsive, accessibility-ready, and optimally designed for reading. This is a perfect theme for writers. Author is a great looking free theme making your readers focus on your articles. It is designed with responsive and adaptable design. 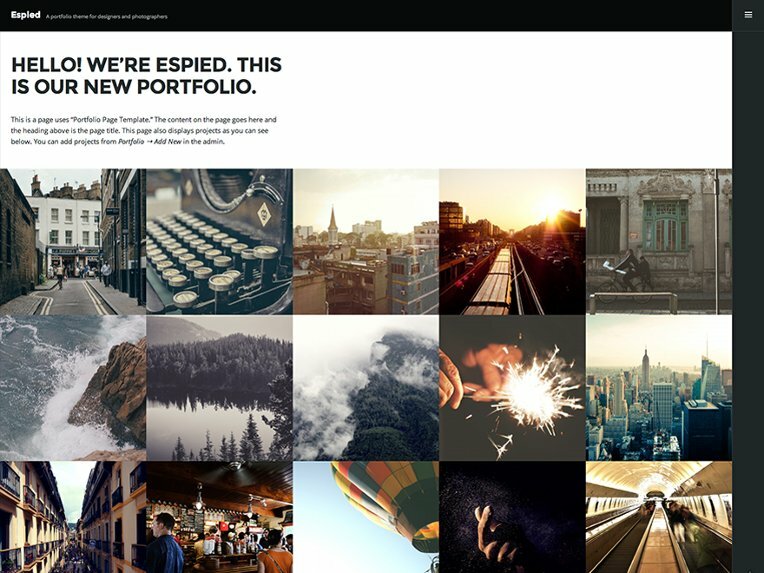 Espied is a portfolio theme for designers, photographers, and artists. Images with nice hover effect, interactive navigation menu, well-balanced layout and fully responsive interface were handpicked to help you better present your project on the web. It’s great for showing off your image-oriented projects to the world. The theme’s minimalist design puts the focus on your projects.